A very creative and talented friend of mine, Chris Rothove, has put several years of hard, devoted work into a table-top RPG titled “Free Gears”. After so much time and effort, he’s finally on the track for finalizing his project and calling for commissions/illustrations from associates to help make his book one of kind. I was, very fortunately, contacted with several requests. 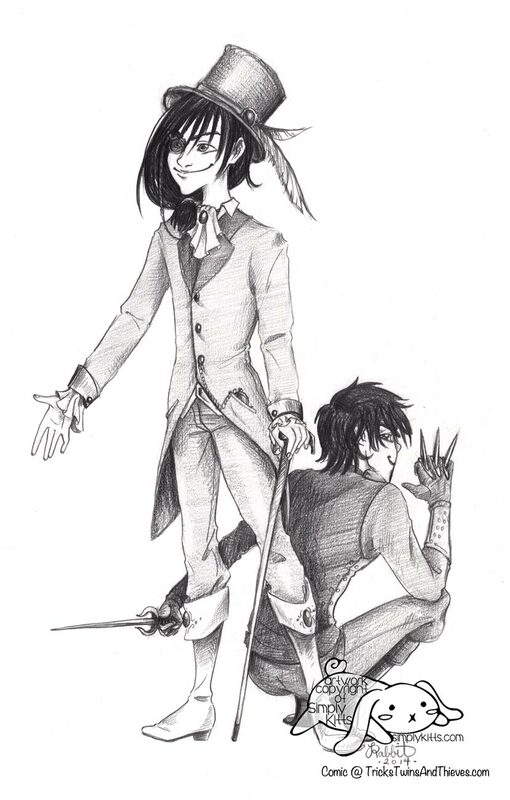 This image is the one I’ve completed to date, featuring the twins in my webcomic, Tricks, Twins & Thieves, to help show the versatility of one of the classes in his book. It’s been a very fun and exciting project, and I look forward to doing more work for it, as well as experiencing the finished product some day!